Was I correct in suggesting two weeks ago that Mad Men is in danger of letting style override content? Many of you agreed. Many disagreed. Today I offer a visual update. Two photos. Both taken on an iPhone on Thursday evening, August 5th, at the reasonably upscale Westchester Mall. Mad Men fans will recognize the three posters in the left photo. 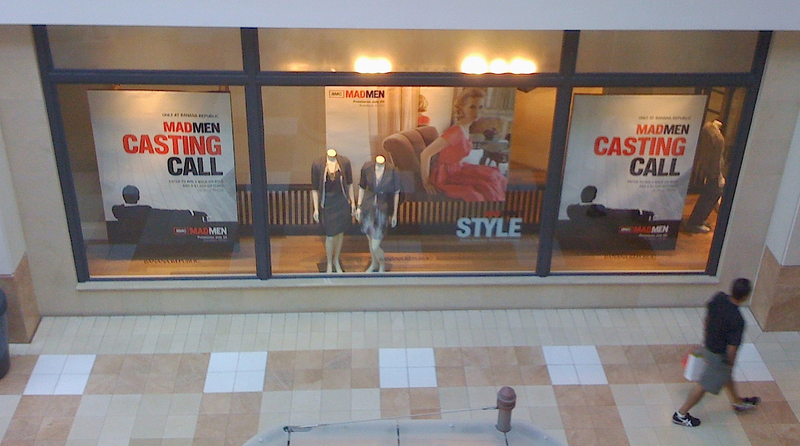 (The word “Style” on the center window, with a seated former Mrs. Draper, is a bonus.) 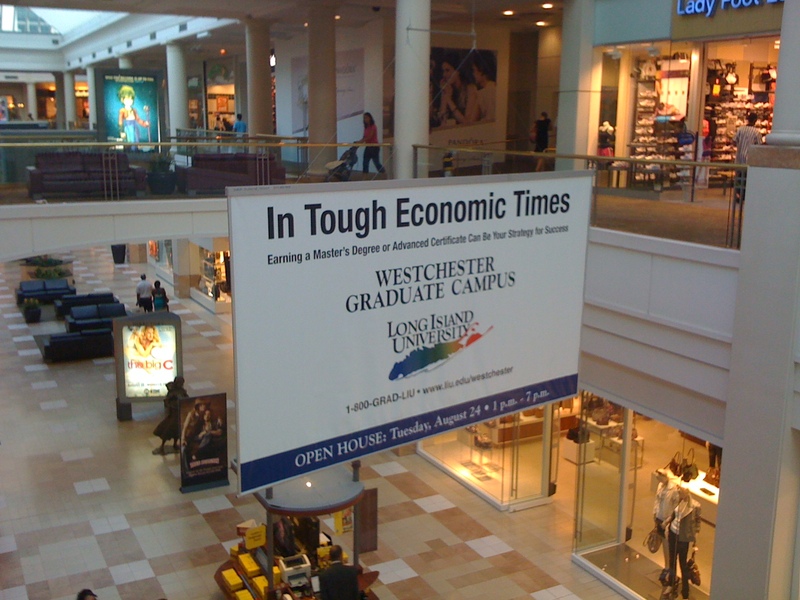 The photo on the right is drumming up business for Long Island University. America has turned to style to replace substance (real income and growth) in tough times before. Perhaps we are beginning to see a replay (although in the 1930’s at least the fashion was original).